Papo The Big Farm is a beautifully crafted wooden farm barn that has a traditional design that harks back to a bygone era. 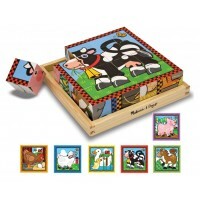 The Big Farm is artistically designed with incredible attention to detail and painted in vibrant colours which makes it a very realistic play set. 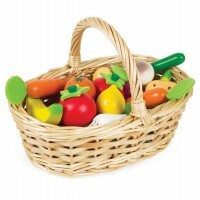 The big farm has lots of features that will make this imaginative play set all the more enthralling for youngsters to play and interact with. The roof opens so that the hayloft can be accessed, there is a working winch to transport hay and animals up to the hayloft, 2 opening barn doors and an opening side door. Please note the figures shown are not included but can be purchased separately. Supplied flat-packed for simple assembly.